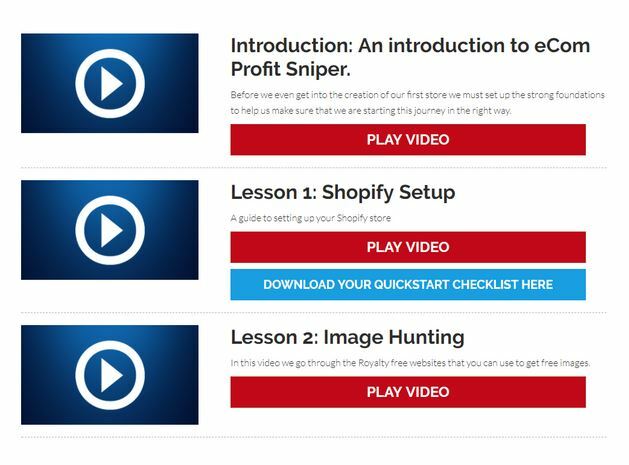 ecom Profit Sniper Review - Is it just a HYPED-UP e-commerce course? Today I’m going to review a product that is called eCom Profit Sniper. The creators of this product are Robin Mac and Tom Parker. The membership fee for this course is $37.00. This is an e-commerce course which seems to be all the rage right now as everyone is trying to get into it. I’m going to give you a tour of the members area and tell you whether or not this product is a good buy or if you should just keep your money or get something else. 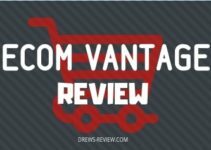 My review is based on actually going through the training provided and I do pay attention to the material to see if their training is any different than other eCom courses I’ve purchased in the past. When looking at the sales page it does seem a little hyped up and the numbers that they give are pure sales figures, not profit. For anyone that understands how e-commerce works, they should know that the profit margin is usually around 20 to 30%. The costs of facebook ads, shipping costs, app costs, Shopify costs, all eat away at your profits. E-commerce can be a profitable venture but they clearly are not defining this in the sales pitch. To get an idea of what the training consists of, I put a brief outline of the course below. So is the training of eCom Profit Sniper adequate? The training for this course is decent however it is quite minimal. If you are one to not like to sit through hours and hours of training then you might like this course. However, if you like detailed information with a lot of examples, this course seriously lacks. The course is almost like an introduction to e-commerce rather than a fully fledged e-commerce instruction. It includes essential tool overviews of apps like Oberlo and tells you how to import products into your Shopify store. They will also tell you how to use AliPay and Ali express. A newbie would want to learn everything and with a lack of detailed information I can see this being very problematic. If you’re OK with finding the information you need elsewhere then this might be OK but really a course should include everything you need to know and not leave any questions unanswered. Drop shipping is a very popular way to make money online with e-commerce. The competition right now is extremely fierce so having an edge over everybody else is extremely important. eCom Profit Sniper is a decent overview course and for the low price it’s not too bad however if you want a course with a lot of detail you’re going to have to pay a lot more. Since I have had eCom restraining in the past I found this course to not help me at all but as a newbie it’s a pretty quick way to get started and have a general understanding of how eCom works. *** Update! 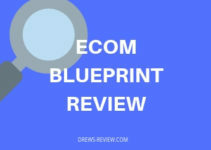 *** – Forget about ecom Profit Sniper. If you want an ecom dropshipping course, Franklin Hatchett’s ecom Elites is the course to get. Read my Ecom Elites Review to see for yourself. Ecom Elites is my #1 choice for either newbies to ecom/drop shipping or those already in the game. In my opinion it's the best course available right now for Ecom. For only $197, you can't go wrong. Check out my review or view the salespage. A very basic course – and what do you expect for the money. Take my advice and pony up a few more bucks for eCom Elites. It’s probably the best ecom course out there today. See my review for yourself and then decide. 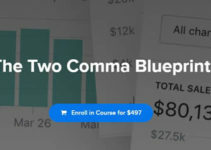 The Two Comma Blueprint Review – Is it Worth the Price?